It was with a considerable frisson of excitement that I chanced, when looking at unrelated family headstones, upon the overgrown lettering at the foot of a family grave in Brockley cemetery (close to the former Catholic section) which identified two victims of the 1,198 (of 1,959 passengers and crew) who perished in one of the twentieth centuries greatest maritime disasters, the sinking of the Luxury Cunard Passenger Ship RMS Lusitania eastbound from New York to Liverpool off the coast of South East Ireland 11 miles from the Old Head of Kinsale on the afternoon of Friday 7 th May 1915. Launched in 1906 she was briefly the worlds largest and fastest passenger ship and was sunk by a torpedo(a controversial claim that a second torpedo was fired remains one of the many enduring conspiracy myths surrounding the sinking) when she crossed the path of the German submarine U-20 commanded by Kapitan-Leutnant Walther Schwieger, at a point in the Great War when a U Boat exclusion zone was operational around Great Britain and Ireland meant that she was deemed to be a ' legitimate target'. OH MONTY' LAST WORDS OF VICTIM - CHASTINA AND MONTAGUE GRANT WHO ARE REMEMBERED IN BROCKLEY CEMETERY. Chastina Grant aged 43 was travelling aboard the Lusitania with her husband Montague, to visit his three sisters in Liverpool, whom they had not seen in years. The Grants were British citizens living in Chicago, Illinois, United States. She and Montagu lived at 1412 Hyde Park Boulevard in Chicago. The Grants were in cabin D-39 for the last voyage of the Lusitania. A solid shock went through Lusitania and, in Brooks’ words, “instantly up through the decks went coal, debris of all kinds . . . in a cloud, up in the air and mushroomed up 150 feet above the Marconi wires.” This was accompanied by “a volume of water thrown with violent force” that knocked the Grants and Brooks flat on the ground. Brooks got up and ran between the second and third funnels to find Montague and Chastina lying on the deck on the starboard side. Then came “a slight second shock” that enveloped him in steam. He felt that he was going to suffocate. When the steam cleared, the Grants were gone. 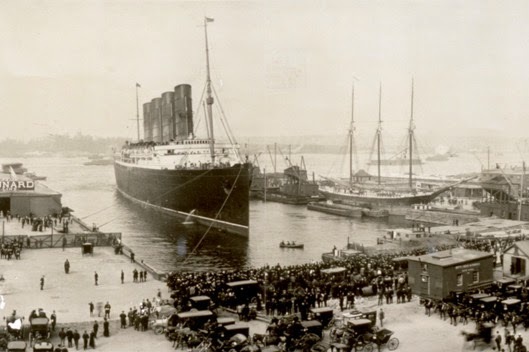 Both Chastina and Montague Grant were lost in the Lusitania sinking. Chastina’s body was also recovered, identified as “age 36 years, 1st Class passenger,” interred in Common Grave, Queenstown (Cobh) Old Church cemetery. 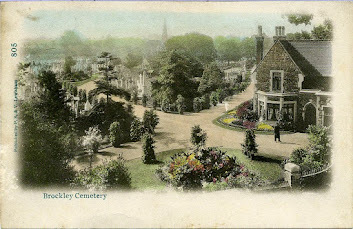 Montague’s body was also recovered as of Thursday, 20 May 1915. 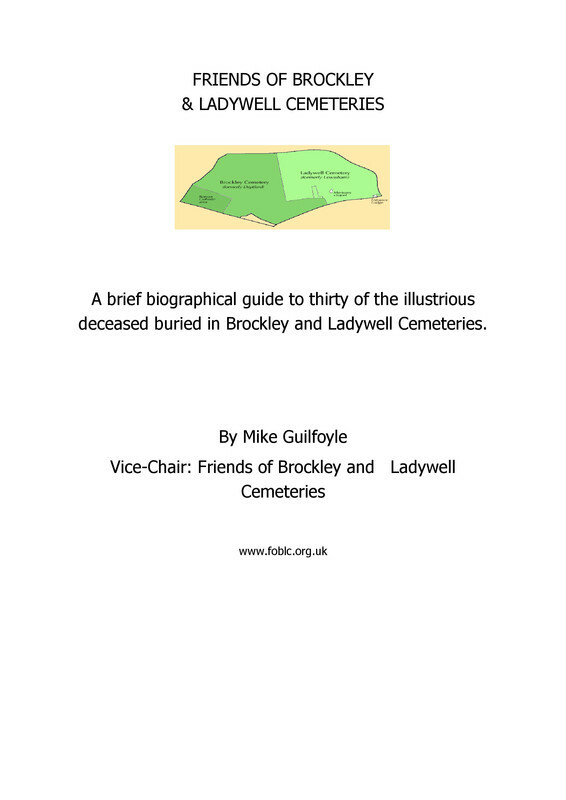 Following a funeral service at St Paul's Deptford he was interred in Brockley cemetery. The centenary of the sinking on May 7th will be marked by a number ofseparate events.